It’s the middle of winter. And, if you’re in Melbourne, it’s been a particularly cold and wet one so far. So, if you’re a brewer, you’re mind will be turning to brewing darker beers, maybe a porter or stout. Or perhaps something boozy, like a big Belgian or barley wine. Or, maybe you think, sod it, let’s knock out a couple of lagers. Admittedly, in the case of 3 Ravens, one of those, the Thornbury Lager, is a new permanent release, while this Dark Lager comes with plenty of dark malt sustenance to suit the climes. 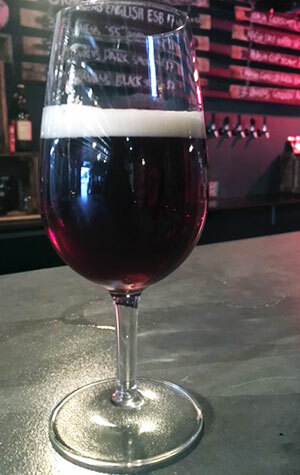 Inspired by the likes of Bavarian dunkels such as Weltenburger – beers brewer Brendan Sullivan says are close to his heart – it pours a chestnut brown and displays an array of flavours from nuts and toasted biscuits to chocolate and cola. The hops come into play by adding a spicy touch, while bitterness is there to clean up more than standout, resulting in a beer that will suit anyone looking for the darker malt flavours but not wanting to have to work their way through anything too heavy.